Your standing at the site of the former Vilna Ghetto or at the site of any Ghetto reminiscent of the Holocaust or at any Concentration Camp or Extermination Camp leaves me totally unmoved. Regardless of any special thought that you reserve, I don’t hold you responsible for any of the atrocities committed against my people under the reign of terror of Adolph Hitler. You were a mere eight years old at the end of World War II. I don’t even hold Pope Pius XII responsible, despite all the controversy that surrounds him. Special thoughts should be reserved in the minds and on the consciences of children and grandchildren of those who were responsible for the Vilna Ghetto as well as the liquidation of Lithuanian Jews that soon ensued. Let them “Klap an al-chet” (beat their breasts) for the sins of their fathers. Any special thoughts you reserve in Lithuania should be reserved in any of the multitude of Catholic churches found throughout the country. Reserve special thoughts as you ask forgiveness from your savior for the inhumanities committed by his faithful while they either ignored or perverted his teachings. Reserve special thoughts for the Rhineland massacres, where German Christians murdered innocent Jews living in the cities of Speyer, Worms and Mainz. 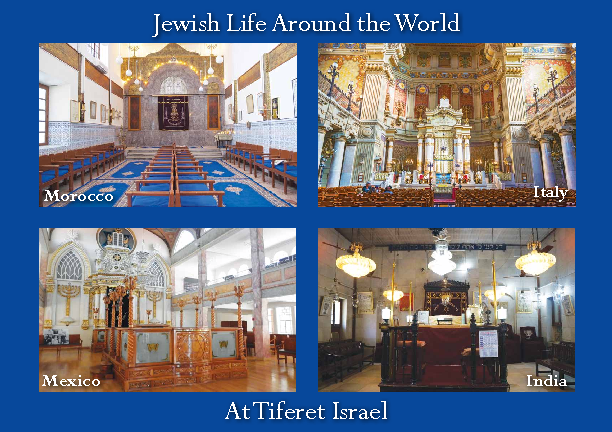 Visit churches that date back to the 11th century and stand before the crucifix as you reserve special thoughts for the Jewish community. While you are at it. You might ask forgiveness for sullying the name of the Nazarene whose mission was to preach love as well as peace on earth. Stand there in front of the one who suffered at Calvary, just outside of Jerusalem and consider how he would have suffered that much more had he witnessed murdering masses committing reprehensible and unspeakable acts, thereby besmirching his name and reputation. 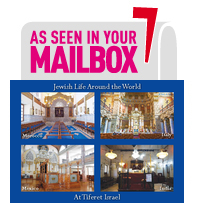 Speaking of Jerusalem, reserve special thoughts for 160 churches in Jerusalem (including churches within schools and Christian institutions) that are not subject to defacement and desecration the way our synagogues are throughout cities in Europe. While you reserve special thoughts, you might also offer up a prayer of thanksgiving that the close to 15,000 Christians living in Jerusalem have never feared the Jew. Unlike Jews living in predominantly Christian countries in Europe, who no longer dare wear Jewish identification such as a yarmulke on their head or a Chai around their neck in public for fear of attack or worse, Christians mill about any and all neighborhoods of Jerusalem, feeling completely safe and secure. Perhaps the Holy See will consider a trip to the Holy Land devoid of any political agenda, simply to express gratitude for the well-being and flourishing of the small Christian community amidst a Jewish majority. Your Holiness, history, Jewish existence and safety has been dependent on action and behavior -both by Jews themselves and especially by the outside Christian world. Never throughout our history as a people, has Jewish existence and safety been dependent on special thoughts reserved by you or anyone else for that matter. Your Holiness, there is one other special thought that I reserve – actually, it is a prayer. I reserve a special thought that you are able to devote your energies to dealing with the many issues that currently plague the Catholic Church. I will fully understand your not having the time to visit Holocaust memorials where you reserve special thoughts. 1. How much business dealings did the Vatican have with the Third Reich? 2. Could Pope Pius XII have done more to save the Jews? 3. What role did the Church play in enabling Nazi criminals to escape Germany after the war? As many of you might have surmised, the Pope’s visit was not on my radar screen; as many of you might have guessed, I am not in the least bit interested in what revelations these documents hold. Let’s assume the very worst. Let’s assume that during the years of 1939 Hitler’s hell, Pope Pius XII was in bed with Adolph and was complicit with every inhumane policy and action that was executed. Does knowing that about the Catholic Church make us feel any better as Jews? Do those of us who have maintained all along that the Catholic Church has blood on its hands, now feel exonerated, as we go around espousing a self-righteous attitude of “I told you so” to anyone who will listen? Alternatively, let’s assume the very best. Let’s assume that Pope Pius XII did everything he could have done to help Jews while not getting on Adolph’s bad side? Doesn’t that now make us look ridiculous for pointing a finger, as we sought comfort with self-conferred victim status? Doesn’t that make us feel foolish for automatically seeing the Catholic Church as being anti-Semitic? Instead of focusing on that which is sealed, perhaps it’s time that we focus in on that which is revealed? Last year was the worst year in modern history for Christians being persecuted. You would however have no way of knowing it, based on what came out of the Vatican. Along those same lines, I do not recall the Vatican ever speaking out on behalf of Christian Arabs suffering at the hands of Muslim extremists in any number of countries throughout the world. Not once did the Pontiff express outrage at ISIS (they claimed responsibility) for the slaying of Fr. Jacques Hamel, who was murdered in cold blood in his Church in Normandy two weeks ago. His Holiness is far too busy asking for Divine forgiveness, than seeing the need for human culpability. If the Holy See sees no real need to become enraged and speak out when Christians are victims and hold the perpetrators responsible, then why should we Jews think that the Holy See sees any need to become enraged and speak out for justice when Jews are victims? Perhaps the time has come for us Jews to stop deluding ourselves that we have a right to have certain expectations from the Pontiff regarding the Holocaust or even the well-being of Israel. Perhaps the time has come for us Jews to follow the pattern established by any number of Holocaust survivors and instead of looking for apologies or the taking of responsibility or the redressing of wrongs, (people and nations rarely admit that they are wrong – it’s been that way since Adam and Eve) – perhaps it’s time for us to look ahead and make sure that we don’t behave in the same manner towards others, as others behave toward us. Perhaps the time has come for us as Jews to realize, that as important as it is for the Pope to visit Auschwitz, it’s even more important for Auschwitz to visit the Pope. Forgive me if I come off as being less than enthusiastic. The recent visit of the Pope to the synagogue in Rome leaves me cold. Please don’t misunderstand; it makes no difference to me whether his Holiness pays a visit to a synagogue in Rome, Jerusalem or Munich. But if the Pope truly wishes to reach out to his “elder brothers” (his terminology, not mine), it seems to me he might want to reevaluate the Vatican’s travel agent as well as the Vatican’s events planner. Don’t you think that a visit to a mosque on the part of the Holy See would accomplish far more than a visit to any synagogue anywhere on the face of this earth? His Holiness might address his Moslem audience by saying: Although we are of different faiths, we share a common root. Both our religions are an outgrowth of Judaism. Over the centuries, our leadership as well as our laity did a terrible injustice to the doctrines of the Church as well as the teachings of our Lord in the way we mistreated our elder brothers. We beg of you, our holy brethren, followers of Mohammed! Please do not commit the same sinful acts that we have committed in the guise of religion! Recognize as we have, that the Jewish people are a good and noble people. They wish you no harm. Much can be gained by accepting their offer of living in peaceful coexistence. Don’t you think that a visit to a monastery or a convent in Poland on the part of the Supreme Pastor would be a class act? Rather than resorting to yet another mea culpa, His Holiness could take an entirely different and fresh tack. With more than a modicum of pride, Pope Francis could give a big Yasher Koach to the monastery or convent that sheltered Jewish children at great risk to the Catholic Church as well as other Christian children at that monastery or convent during the Nazi onslaught. In doing so, the Pope could strengthen Christian-Jewish ties in ways most have yet to realize. Every now and then, Jews need to be reminded to put away their hurt and anger against the Church for its complacency during the Holocaust. True, the Church could have done more, but let’s be grateful for the random acts of kindness on the part of Christians, who placed their own lives in peril to save Jews. Let us never accuse the Church for standing idly by and doing nothing. Don’t you think that a visit to the former location of Interessen-Gemeinschaft Farbenindustrie, better known as IG Farben would “hit it out of the ball park” for His Holiness? With an eye on Iran, the Pontiff could share with the world that the infamous IG Farben, producers of the poisonous, yet highly effective Zyklon B used in the gas chambers of Extermination Camps, morphed into highly respected pharmaceutical companies. The head of the Catholic Church could have pointed out that the very same chemical company that produced products that destroyed lives, ended up spawning chemical companies that produced products that save lives. Perhaps I’m being naïve, but I would like to believe that the leaders of Iran will understand that while the Pope is talking about IG Farben, he really has the Iranian nuclear centrifuges on mind. Put differently, by standing at the site of IG Farben, the Pope would implicitly tell Iran that you can use your nuclear capabilities for constructive purposes or for destructive purposes – the choice is yours. While it’s highly doubtful that Iran well take the Pope’s to mind, at least the democratic world will know that Jorge Mario Bergoglio is one pope who doesn’t bury his head in the sand when it comes to enemies of peace and victims of extremism. Whether or not more papal visits to synagogues are in the offing, is anyone’s guess. Don’t you think however that if the Pope were to go and speak at a mosque and a convent or a monastery as well as IG Farben, the next time he does visit a synagogue, he will be welcomed as a true hero as well as true mentsch? A week before Rosh Hashanah, Pope Francis made headlines that most leading newspapers were either unaware of, or simply chose to ignore. Pope Francis made headlines that had nothing to do with his upcoming trip to the United States. Pope Francis made Jewish headlines. Reuven (Rubi) Rivlin, President of Israel, was in Rome on official business. He was paying a visit to the Pope. Rubi (meaning no disrespect, the Prime Minister of Israel is referred to as Bibi) was accompanied by his Chief of Staff, Rivkah Ravitz. Dr. Ravitz is a 39 year old mother of 10, who would blend in perfectly in any Orthodox neighborhood around the world. She dresses modestly, wears a sheitel (a wig designed to cover her own hair) and avoids physical contact with men. Protocol dictates that upon meeting the Pope, one genuflect (bends at the knees). The Pope will then extend his hand. If the individual is a Catholic, he will then kiss the Pope’s ring. A non-Catholic can opt to shake the Pope’s hand. One is to address the Pope as Holy Father or Your Holiness. Halacha or Jewish law dictates otherwise. In the eyes of an observant Jew, halacha trumps protocol. Always! When it was Rivkah’s turn to meet the Pope, she explained that she could not offer her hand. Rivkah also explained that because of the Cross, she could not bow down either. Had this been a different time as well as a different Pope, there would have been a moment of awkward silence. Under the best of circumstances! But this was in the here and now. This was not a different Pope. This was Jorge Mario Bergoglio, whose middle name is humility. This was Jorge Mario Bergoglio, who is neither threatened nor offended by those of a different faith. This is Jorge Mario Bergoglio, who embodies the epitome of respect for all people from all different religious backgrounds. And because of this, the Holy See did not miss a beat. Quite casually, the Pope covered the Cross with his hand, so that it would not offend a halachically observant Jewish woman. And then, the Pope proceeded to bow to Rivkah! Please understand. From a social, political and even theological standpoint, the Pope and I share little, if anything in common. One would have good reason to maintain that the Pope and I are from different planets, when it comes to the way we view this world. Quite frankly, I find many of his views to be out of bounds for a religious leader and downright dangerous for this country and maybe even the world. And even as a Jew, I find it difficult to believe that the Pope is a constant source of naches to the Catholic Church when he says or does things that past nisht or don’t square with tradition. One thing I will say however. Based on what took place on September 7th however, Pope Francis is a real mentsch!